Upgrading and Remodeling your home or business can be a small or major change depending on the size and scope of your electrical project. At Chicago Electric, we recognize that taking on any project can be an exciting and stressful time. Are you having an emergency? Need same day service? If this is an emergency, please call 847-229-8229 or fill out the form on our emergency page and a Chicago Electric representative will contact you within the hour. To help support your business, Chicago Electric has all the skills needed to handle any of the electrical aspects that are critical for your organization to run smoothly. We have experience in completing projects that vary in size and scope. Power outages are an inevitable event that can happen at any point, rain or shine. A generator can simply power all, if not different sections of your home or business and you can rest assured that your necessity for power is no longer a function on the local power company’s response and restore time. As our dependency on electricity continues to grow exponentially, the green initiative has created awareness that there are many changes we can make in our lifestyles that will help decrease the use of unnecessary electrical usage. Imagine driving home at night after a long day at work. You pull up to your home and there are no lights on, we’ve all been there, it’s an eerie feeling. A whole home lighting solution would allow you to turn on a pre-programmed set of lights directly from your car. These are just a few of all the services that Chicago Electric can provide. A full list of all our services can be found on our electrical services page. No project is too big or too small for our team. Call us and we’ll be there to help you today! 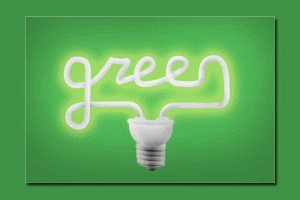 Going Green – What you need to know…. As our dependency on electricity continues to grow exponentially, the green initiative has created awareness that there are many changes we can make in our lifestyles that will help decrease the use of unnecessary electrical usage. This in turn has an upstream effect where we can do our part in helping decrease greenhouse gases which are theorized to have the effect of heating up the earth to the point where the polar ice caps are now melting.In helping in that awareness, Chicago Electric has taken the responsibility of educating their customers and following standards that support the green initiative. What can you do to help in greening up the earth?